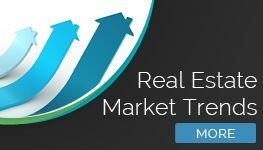 (SanDiegoRealEstateBuzz) – Summer is on the wane! Take advantage of this gorgeous weather and enjoy the great outdoors, as days grow a bit shorter and temperatures drop. As we head toward back to school and the final days of summer, let's take a look at conditions across the San Diego real estate market in July. Home prices continue to hold steady, with minimal month to month fluctuations. Add in a healthy economy, low unemployment, still-low interest rates and slightly lagging construction rates, and it's easy to see why: High demand leads to higher prices. This strong market offers plenty of continuing opportunities for home sellers, as well as those seeking homes for sale in San Diego. In July, the total number of homes sold decreased by just 3.5 percent, from 3,081 in June to 3,070 in July. Breaking these figures down, we see that sales of detached homes actually increased by 7 percent month-to-month, from 1,868 to 2,003, while attached home sales decreased by 12 percent, from 1,213 sales in June to 1,067 sales in July. 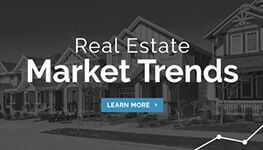 Year-over-year, home sales decreased slightly, dropping 3 percent from 3,157 homes sold in July, 2016. As for San Diego homes for sale, in good news for home buyers inventory increased from a total of 5,199 in June to 5,433 in July, a gain of 4.5 percent. These figures include 4,040 detached homes for sale and 1,393 attached homes for sale. In contrast, there were 6,915 homes on the market in the same period in 2016, representing a drop of 21 percent year-over-year. Continuing the stable trend we've seen for several months, the average number of days on the market held steady, with a minimal increase from June to July. Detached homes rose from an average of 27 to an average of 28 days on the market, while attached homes rose from 21 to 28 days. Looking back to July 2016, we see only slight decreases year-over-year; detached homes spent an average of 34 days on the market in 2016, while attached homes had an average of 25 days. Median sales prices of San Diego homes for sale were mixed, with detached home prices rising from June to July while attached home prices dropped slightly. Detached homes increased by 1.7 percent, from $609,500 in June to $620,000 in July. Attached home prices fell by just over 2 percent, decreasing from $415,000 in June to $405,000 in July. As for year-over-year median home sale prices, the difference was more pronounced; in July 2016, detached San Diego homes had a median price of $563,000, a 10 percent increase. Attached home median prices rose year-over-year, as well, gaining almost 6 percent from 2016 to 2017. Interest rates rose month-to-month. Starting with an interest rate of 3.75 percent in June, rates increased slightly to 3.93 percent in July. In July 2016, the interest rate was a bit lower at 3.4 percent. Low interest rates are good news for both home buyers and home sellers, as lower rates tend to attract more home buyers into the market. 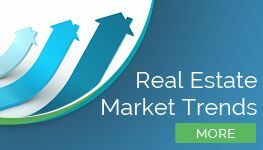 With interest rates continuing to hold (relatively) steady, home prices still following a gentle upswing, and inventory at stable levels, the San Diego real estate market continues to be positive for both home buyers and home sellers. A slight increase in days on the market may offer additional opportunities for home buyers, while rising detached home prices puts a smile on home owners' faces. Overall, as we head toward summer's end, the market remains healthy and stable.